Since the musical first graced the Broadway stage in 1964, “Fiddler on the Roof” has proven to be a classic with a timeless message. 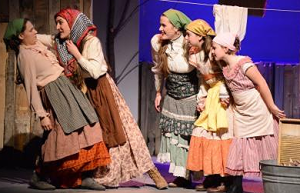 For the past thirty years, the story of Tevye, the humble dairyman and father of five daughters has resonated with audiences as each generation struggles with keeping traditions in an ever-changing world. Set in rural Russia at the turn of the century, Tevye’s story illustrates the plight of all people struggling to maintain their family traditions and values in the face of unforeseen obstacles. The cast of Fiddler is a talented and professional bunch of actors. With a script that is filled with both comedy and drama, the gifted actors make the ajustments with ease. 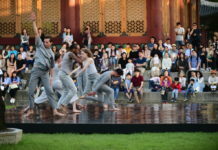 The audience is able to follow along as the musical weaves in and out of scenes and situations. In addition, the seamless transitions are done with minimal set designs and costume changes which was also impressive as some scenes were powerful. The cast is led by Layne Willden as Tevye, known for other roles such as Shrek in “Shrek the Musical”, and Carolyn J. Stevens as Golde his wife. Both are naturals on stage and bring an energy that engages the audience–making their performances feel almost personal. Tevye is faced with many challenges as a poor father, but allowing his daughter to marry someone of her own choosing, for love, is at the forefront of this musical. 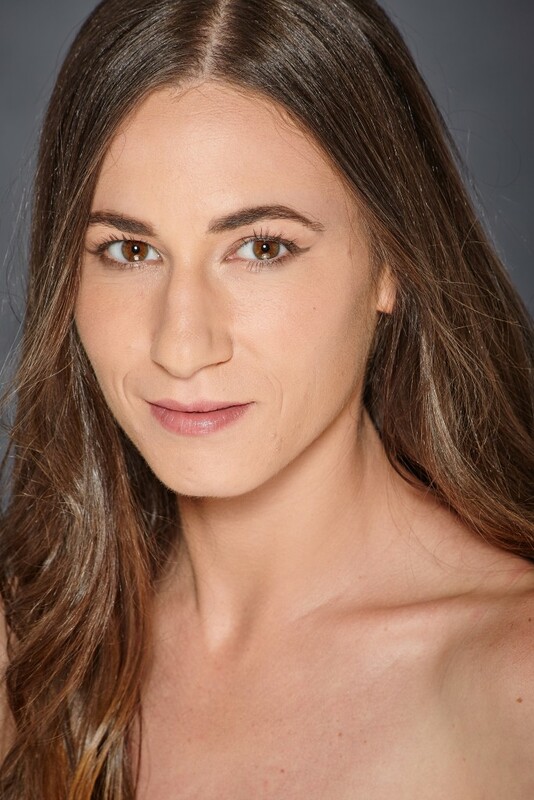 Although we don’t typically participate in the practice of arranged marriages in today’s world, audiences can relate to a father’s love of his daughters and his personal struggle to uphold his strict Jewish traditions without sacrificing the happiness of his daughters. “Fiddler on the Roof” is a fun, fast-paced musical with popular songs like Matchmaker and If I were a Rich Man. March 19-22 / Thursday-Saturday at 8 p.m.; Sunday at 6 p.m. with reduced ticket prices on Thursday.